I'm selling these fine jackets. 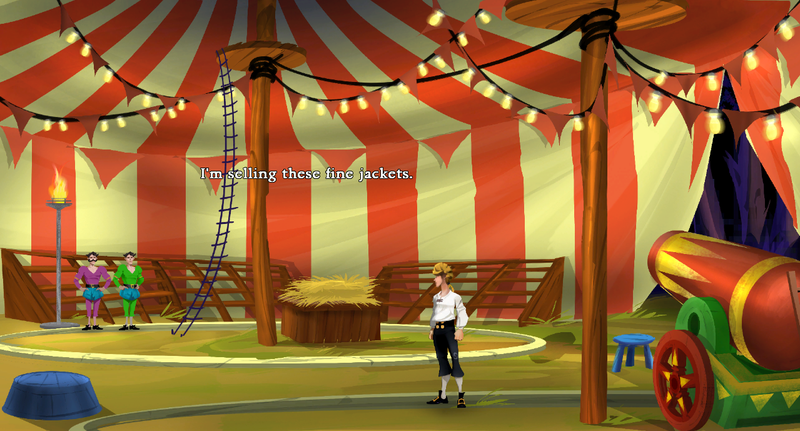 In the circus, one of the options you can have Guybrush say to the Fettuccini Brothers is "I'm selling these fine jackets". This is a reference to a line from Indiana Jones and the Last Crusade: The Adventure Game, where Indy says he's selling fine leather jackets to a guard in a Nazi castle. The hair modification is a fan made patch available here.